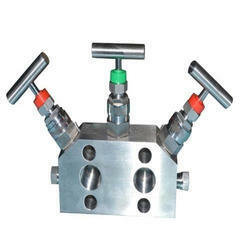 Pioneers in the industry, we offer nickel alloys two way manifold valves, nickel alloys t type manifold valves, nickel alloys straight manifold valves, nickel alloys five way manifold valves, nickel alloys h type manifold valves and nickel alloys three way manifold valves from India. With decades of manufacturing experience NeelKamal steels is able to produce an inclusive range of Nickel Alloys Two Way Manifold Valves and amazingly modern valve blocks to go well with any type of instrumentation specifications, installations and applications. We also supply a wide range of single and twin ferrule tube fittings which are of high reliability.These Nickel Alloys Two Way Manifold Valves are made up of various materials and are widely used in petro-chemical, gas, power, oil and in many other industries. With the combination of these products with tube fittings and instrument manifolds we offer exceptional connection mishmashes. In this segment, we are the best in many ways.The valves we offer come with great level of durability. 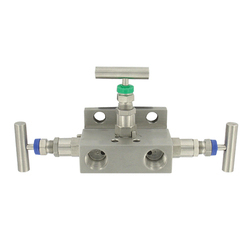 These valves can be used in adverse conditions as well. All these valves are manufactured and tested by adhering to the strictest quality norms and the machineries we use to manufacture these valves are extremely advanced. These valves are extremely economical as well. With decades of manufacturing experience NeelKamal steels is able to produce an inclusive range of Nickel Alloys T Type Manifold Valves and amazingly modern valve blocks to go well with any type of instrumentation specifications, installations and applications. 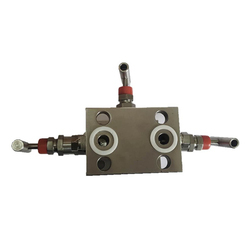 We also supply a wide range of single and twin ferrule tube fittings which are of high reliability.These Nickel Alloys T Type Manifold Valves are made up of various materials and are widely used in petro-chemical, gas, power, oil and in many other industries. With the combination of these products with tube fittings and instrument manifolds we offer exceptional connection mishmashes. 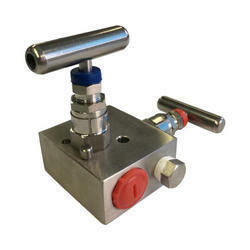 In this segment, we are the best in many ways.The valves we offer come with great level of durability. These valves can be used in adverse conditions as well. All these valves are manufactured and tested by adhering to the strictest quality norms and the machineries we use to manufacture these valves are extremely advanced. These valves are extremely economical as well. With decades of manufacturing experience NeelKamal steels is able to produce an inclusive range of Nickel Alloys Straight Manifold Valves and amazingly modern valve blocks to go well with any type of instrumentation specifications, installations and applications. We also supply a wide range of single and twin ferrule tube fittings which are of high reliability.These Nickel Alloys Straight Manifold Valves are made up of various materials and are widely used in petro-chemical, gas, power, oil and in many other industries. With the combination of these products with tube fittings and instrument manifolds we offer exceptional connection mishmashes. In this segment, we are the best in many ways.The valves we offer come with great level of durability. These valves can be used in adverse conditions as well. All these valves are manufactured and tested by adhering to the strictest quality norms and the machineries we use to manufacture these valves are extremely advanced. These valves are extremely economical as well. With decades of manufacturing experience NeelKamal steels is able to produce an inclusive range of Nickel Alloys Five Way Manifold Valves and amazingly modern valve blocks to go well with any type of instrumentation specifications, installations and applications. We also supply a wide range of single and twin ferrule tube fittings which are of high reliability.These Nickel Alloys Five Way Manifold Valves are made up of various materials and are widely used in petro-chemical, gas, power, oil and in many other industries. 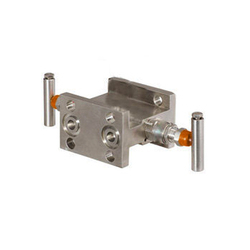 With the combination of these products with tube fittings and instrument manifolds we offer exceptional connection mishmashes. 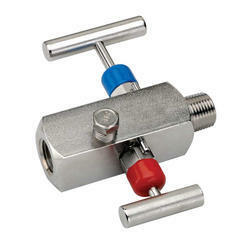 In this segment, we are the best in many ways.The valves we offer come with great level of durability. These valves can be used in adverse conditions as well. All these valves are manufactured and tested by adhering to the strictest quality norms and the machineries we use to manufacture these valves are extremely advanced. These valves are extremely economical as well. With decades of manufacturing experience NeelKamal steels is able to produce an inclusive range of Nickel Alloys H Type Manifold Valves and amazingly modern valve blocks to go well with any type of instrumentation specifications, installations and applications. We also supply a wide range of single and twin ferrule tube fittings which are of high reliability.These Nickel Alloys H Type Manifold Valves are made up of various materials and are widely used in petro-chemical, gas, power, oil and in many other industries. With the combination of these products with tube fittings and instrument manifolds we offer exceptional connection mishmashes. In this segment, we are the best in many ways. The valves we offer come with great level of durability. These valves can be used in adverse conditions as well. All these valves are manufactured and tested by adhering to the strictest quality norms and the machineries we use to manufacture these valves are extremely advanced. These valves are extremely economical as well. With decades of manufacturing experience NeelKamal steels is able to produce an inclusive range of Nickel Alloys Three Way Manifold Valves and amazingly modern valve blocks to go well with any type of instrumentation specifications, installations and applications. We also supply a wide range of single and twin ferrule tube fittings which are of high reliability.These Nickel Alloys Three Way Manifold Valves are made up of various materials and are widely used in petro-chemical, gas, power, oil and in many other industries. With the combination of these products with tube fittings and instrument manifolds we offer exceptional connection mishmashes. 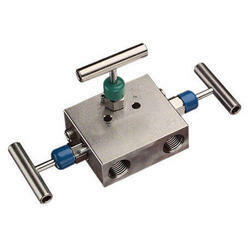 In this segment, we are the best in many ways.The valves we offer come with great level of durability. These valves can be used in adverse conditions as well. All these valves are manufactured and tested by adhering to the strictest quality norms and the machineries we use to manufacture these valves are extremely advanced. These valves are extremely economical as well. With decades of manufacturing experience NeelKamal steels is able to produce an inclusive range of Carbon Steel H Type Manifold Valves and amazingly modern valve blocks to go well with any type of instrumentation specifications, installations and applications. We also supply a wide range of single and twin ferrule tube fittings which are of high reliability.These Carbon Steel H Type Manifold Valves are made up of various materials and are widely used in petro-chemical, gas, power, oil and in many other industries. With the combination of these products with tube fittings and instrument manifolds we offer exceptional connection mishmashes. In this segment, we are the best in many ways.The valves we offer come with great level of durability. 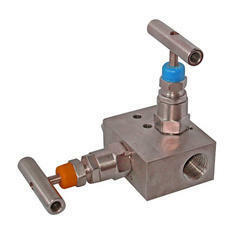 These valves can be used in adverse conditions as well. All these valves are manufactured and tested by adhering to the strictest quality norms and the machineries we use to manufacture these valves are extremely advanced. These valves are extremely economical as well. With decades of manufacturing experience NeelKamal steels is able to produce an inclusive range of Carbon Steel Three Way Manifold Valves and amazingly modern valve blocks to go well with any type of instrumentation specifications, installations and applications. We also supply a wide range of single and twin ferrule tube fittings which are of high reliability.These Carbon Steel Three Way Manifold Valves are made up of various materials and are widely used in petro-chemical, gas, power, oil and in many other industries. With the combination of these products with tube fittings and instrument manifolds we offer exceptional connection mishmashes. In this segment, we are the best in many ways.The valves we offer come with great level of durability. These valves can be used in adverse conditions as well. All these valves are manufactured and tested by adhering to the strictest quality norms and the machineries we use to manufacture these valves are extremely advanced. These valves are extremely economical as well. With decades of manufacturing experience NeelKamal steels is able to produce an inclusive range of Stainless Steel Two Way Manifold Valves and amazingly modern valve blocks to go well with any type of instrumentation specifications, installations and applications. We also supply a wide range of single and twin ferrule tube fittings which are of high reliability.These Stainless Steel Two Way Manifold Valves are made up of various materials and are widely used in petro-chemical, gas, power, oil and in many other industries. With the combination of these products with tube fittings and instrument manifolds we offer exceptional connection mishmashes. In this segment, we are the best in many ways.The valves we offer come with great level of durability. These valves can be used in adverse conditions as well. All these valves are manufactured and tested by adhering to the strictest quality norms and the machineries we use to manufacture these valves are extremely advanced. These valves are extremely economical as well. With decades of manufacturing experience NeelKamal steels is able to produce an inclusive range of Stainless Steel H Type Manifold Valves and amazingly modern valve blocks to go well with any type of instrumentation specifications, installations and applications. We also supply a wide range of single and twin ferrule tube fittings which are of high reliability.These Stainless Steel H Type Manifold Valves are made up of various materials and are widely used in petro-chemical, gas, power, oil and in many other industries. With the combination of these products with tube fittings and instrument manifolds we offer exceptional connection mishmashes. In this segment, we are the best in many ways.The valves we offer come with great level of durability. These valves can be used in adverse conditions as well. All these valves are manufactured and tested by adhering to the strictest quality norms and the machineries we use to manufacture these valves are extremely advanced. These valves are extremely economical as well. With decades of manufacturing experience NeelKamal steels is able to produce an inclusive range of Stainless Steel T Type Manifold Valves and amazingly modern valve blocks to go well with any type of instrumentation specifications, installations and applications. We also supply a wide range of single and twin ferrule tube fittings which are of high reliability.These Stainless Steel T Type Manifold Valves are made up of various materials and are widely used in petro-chemical, gas, power, oil and in many other industries. With the combination of these products with tube fittings and instrument manifolds we offer exceptional connection mishmashes. In this segment, we are the best in many ways.The valves we offer come with great level of durability. These valves can be used in adverse conditions as well. All these valves are manufactured and tested by adhering to the strictest quality norms and the machineries we use to manufacture these valves are extremely advanced. These valves are extremely economical as well. With decades of manufacturing experience NeelKamal steels is able to produce an inclusive range of Stainless Steel Straight Manifold Valves and amazingly modern valve blocks to go well with any type of instrumentation specifications, installations and applications. We also supply a wide range of single and twin ferrule tube fittings which are of high reliability.These Stainless Steel Straight Manifold Valves are made up of various materials and are widely used in petro-chemical, gas, power, oil and in many other industries. With the combination of these products with tube fittings and instrument manifolds we offer exceptional connection mishmashes. In this segment, we are the best in many ways.The valves we offer come with great level of durability. These valves can be used in adverse conditions as well. All these valves are manufactured and tested by adhering to the strictest quality norms and the machineries we use to manufacture these valves are extremely advanced. These valves are extremely economical as well. With decades of manufacturing experience NeelKamal steels is able to produce an inclusive range of Stainless Steel Five Way Manifold Valves and amazingly modern valve blocks to go well with any type of instrumentation specifications, installations and applications. We also supply a wide range of single and twin ferrule tube fittings which are of high reliability.These Stainless Steel Five Way Manifold Valves are made up of various materials and are widely used in petro-chemical, gas, power, oil and in many other industries. 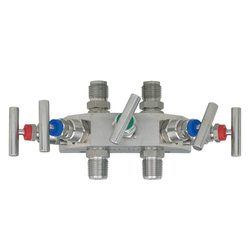 With the combination of these products with tube fittings and instrument manifolds we offer exceptional connection mishmashes. In this segment, we are the best in many ways.The valves we offer come with great level of durability. These valves can be used in adverse conditions as well. All these valves are manufactured and tested by adhering to the strictest quality norms and the machineries we use to manufacture these valves are extremely advanced. These valves are extremely economical as well. With decades of manufacturing experience NeelKamal steels is able to produce an inclusive range of Stainless Steel Three Way Manifold Valves and amazingly modern valve blocks to go well with any type of instrumentation specifications, installations and applications. 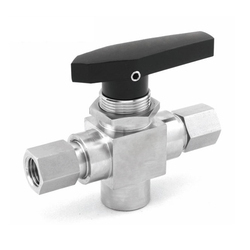 We also supply a wide range of single and twin ferrule tube fittings which are of high reliability.These Stainless Steel Three Way Manifold Valves are made up of various materials and are widely used in petro-chemical, gas, power, oil and in many other industries. With the combination of these products with tube fittings and instrument manifolds we offer exceptional connection mishmashes. 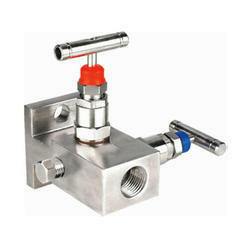 In this segment, we are the best in many ways.The valves we offer come with great level of durability. 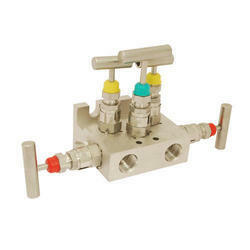 These valves can be used in adverse conditions as well. All these valves are manufactured and tested by adhering to the strictest quality norms and the machineries we use to manufacture these valves are extremely advanced. These valves are extremely economical as well.